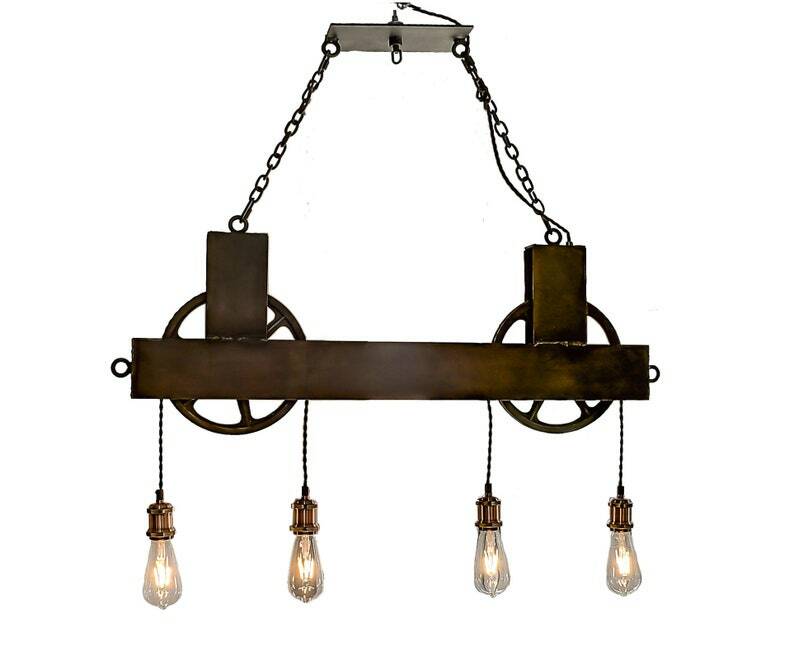 A true statement piece, this handcrafted fixture combines the industrial components of two 11" black steel pulleys with a black steel structure and adds an impressive presence to your dining space. Fixture fashioned from 4" steel plate and hangs from a custom canopy via 2 black iron chains. 4 lights (LED bulbs INCLUDED) hang from the pulley wheels via black twisted cloth cord.